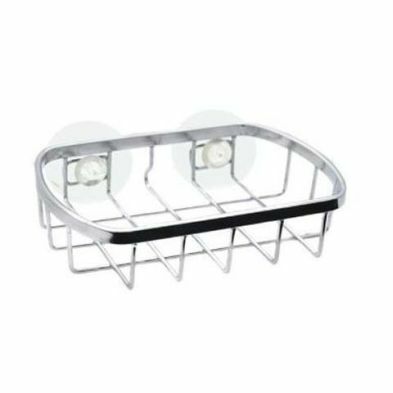 A practical place to store your soap, this fantastic Soap Holder features a metal frame and two suction pads to help fasten the holder to a surface.Explore more of our range, we have a huge variety of products in stock. Have a query or can’t find something you’re looking for? We receive new deliveries every week, so if the item you wish to purchase is currently out of stock, please contact our Customer Services Team and we may be able to reserve the items you require.Features:Superb Soap Holder 2 suction padsEasy to useMaterial: ironSize: 13cm x 9cm x 3cmIron wire weldingColour: polished chromeGreat value for money!